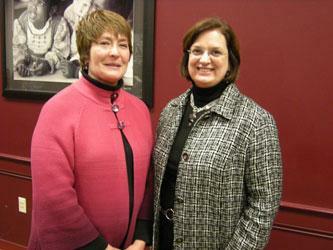 File photo of CPS Superintendent Mary Ronan and CFT President Julie Sellers. The Cincinnati School Board will talk about the proposed contract at its regular meeting at 7 p.m. on Monday May 19, 2014. The CFT will then vote on it May 27 and 28.